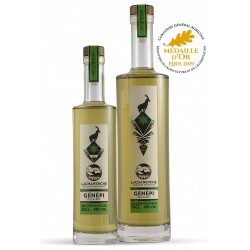 Genepi is a type of mugwort (Artemisia) that grows between 2,000 and 3,500 metres above sea level. It is found on moraines and screes and, depending on its exact altitude, flourishes from mid-July to mid-August. 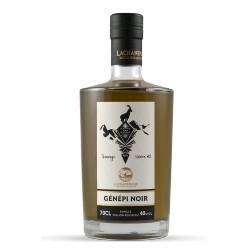 It is known for its anti-pyretic (fever-reducing), tonic and stimulating properties. 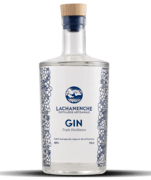 The liqueur derived exclusively from this plant is typically consumed neat as a digestif or poured over lemon sorbet or vanilla ice cream. It is also used as a flambé over crepes. 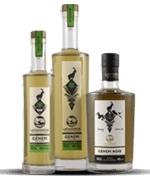 Genepi There are 2 products. To be eaten fresh (7 ° / 8 ° C) as an aperitif or digestive.